During Summer we spend our days here daydreaming of evening and weekend plans, filling every minute with plans of being outside (weather permitting of course) and spending times with those we enjoy giving our time to. I don’t know about you, but our plans inevitably include a meal plan whether it’s BBQs, picnics or food you can pick at. Our recipe of the week, containing the key ingredient of the month, asparagus, is a perfect food item for any such occasion. Preheat the oven to 200ºC, gas mark 6. Unroll the pastry sheet and line a 23cm loose-bottomed flan tin with it, trimming the excess to fit. Prick with a fork. Chill in the fridge for 10 minutes then line with a crumpled sheet of greaseproof paper over the pastry and weigh it down with baking beans or rice grains. Bake blind for 10 minutes then remove the beans or rice and paper and return to the oven for a further 5 minutes. Meanwhile steam the asparagus for 4–5 minutes until just tender. Drain and run under cold water. Pat dry with kitchen paper and cut into 5cm lengths. 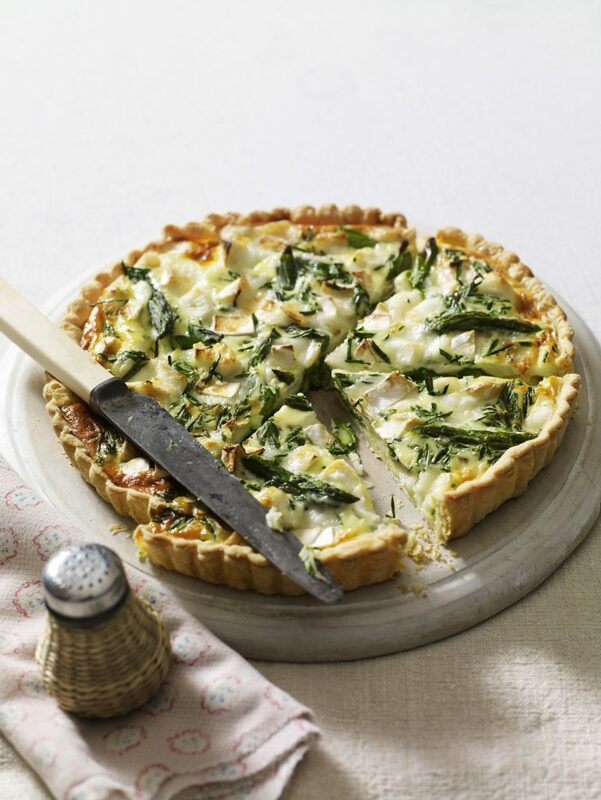 Arrange over the base of the pastry case and scatter over the cubed goat’s cheese. Whisk together the eggs, cream and chives. Season the mixture and pour into the pastry case. Bake for 30–35 minutes until the filling is set and the top golden. Serve warm or cold with a salad. 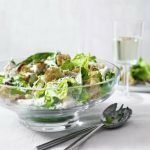 This recipe was supplied by Waitrose, if you’re looking for more inspiration, they’ve thousands more on their recipe page which is well worth a look.